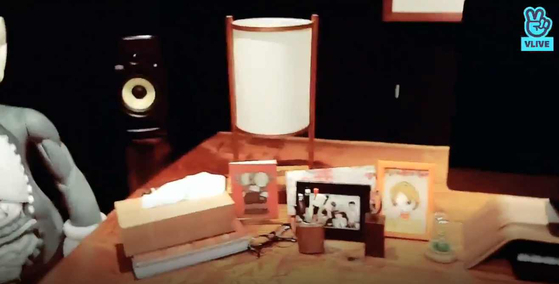 What's That Picture On RM's Desk?? 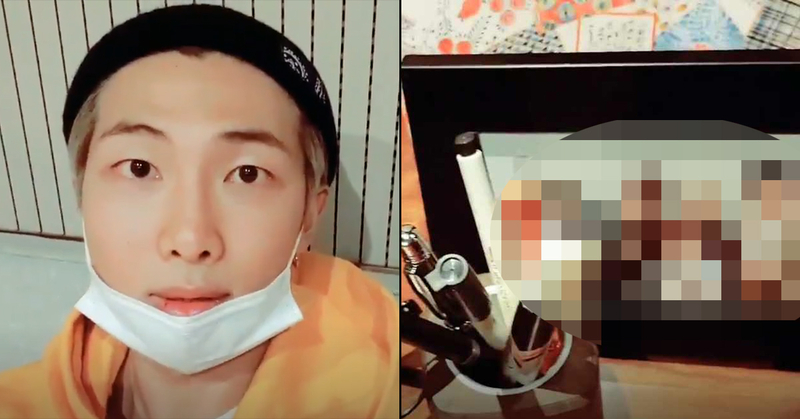 On a recent BTS VLIVE upload on February 20th, RM took some time to introduce viewers to his "Rkive" studio. 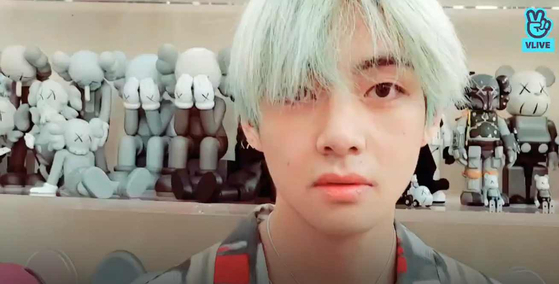 From his figurine collection (and V??) to his door, stool, sofa, shelves, and table- there was much to look at, but one subtle object caught fans' attention. It was a picture frame next to his computer on his desk. But what was the picture of? 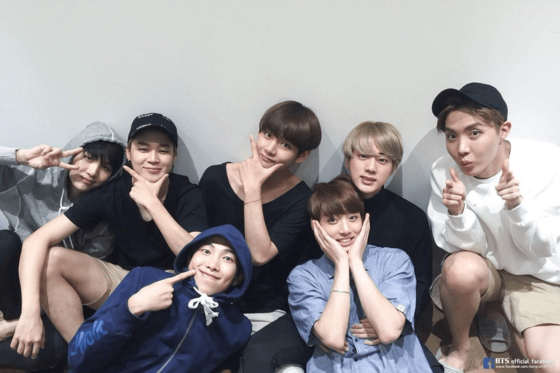 The picture, it turns out, is a photo of the BTS members that was taken after taking their holiday Chuseok VLIVE video. All the members are in their normal clothes, taking a group picture just like any other ordinary group of close friends. Namjoon apparently really cherishes this picture of all of them! 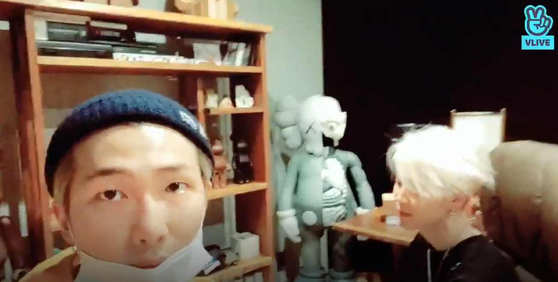 It was also a picture that they could see at the 'Oh, Neul' BTS Exhibition that was previously held in Seoul. 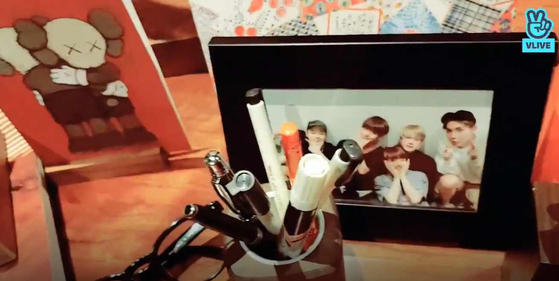 VLIVE viewers melted at the group picture cutely placed on his desk. Comments included, "That picture is so cute," "I hope the members stay together for a long long time," and "They're so nice."